At the outset, please forgive me if this letter seems a bit disjointed. I’ve never written an angel before, so I’m a bit nervous! What’s the occasion of this, my very first “Angel” letter? I realize it’s a tad tardy, but it’s regarding the movie that made you famous: Frank Capra’s iconic film It’s a Wonderful Life. I’ve watched it for nearly every year I’ve been alive, and have even passed the tradition on to my growing children. Indeed, for much—perhaps even the majority?—of the United States (even Christians) Christmas is nearly synonymous with the movie. A Christmas passing without watching it? Unthinkable! Just recalling that famous line by one of the Bailey girls, “Every time a bell rings an angel gets its wings!” gets me all misty-eyed. After all, you got your wings by helping George, right? Way to go! However, as much as I deeply appreciate the film on many levels, I’ve had a budding concern. Really it’s not so much a concern as it is—how shall I put it?—a mild disagreement. I know, I know, lowly old me disagreeing with you, an angel. What nerve! Please allow me to briefly explain. Back to my mild disagreement. 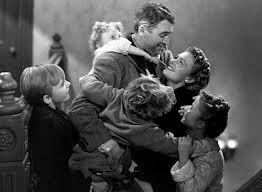 Not to sound all curmudgeonly, Clarence, but is it really a wonderful life? I don’t mean exclusively for George Bailey, but for the whole of humanity. Can it be said—even for the Christian—that life is wonderful? Yes, I concede there are moments in life where one can say, “That was wonderful!” I’m not discounting the many blessings, episodes of sheer exhilaration, joy, beauty and awe. But surely you know how we are a fallen race, ruined and marred by sin and it’s ongoing, decaying effects. Even the most sanctified Christian is not immune to a difficult marriage, job loss, miscarriages, cancer, the ebb and flow of friendships, unexpected tragedy. Life is hard, even considering wonderful moments. Consider Jesus: did he live a wonderful life? (He is the Suffering Servant.) What about the Apostle Paul and the early church? Even today, I think of some of the most mature Christians I know who, even amidst life’s highs, would seriously question if this earthly life is “wonderful” (in the truest sense). Does following Jesus mean one will have a wonderful life? Instead, Jesus promises a joyful life, even amidst significant suffering. In theological language, to expect a wonderful life now is to have an over-realized eschatology. We’re living between two worlds, the now and the not yet. 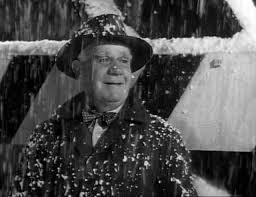 In other words, Clarence, the reason this isn’t a wonderful life (in the Capra-esque way)—even for the redeemed—is for this simple reason: Life this side of glory is not the way it’s supposed to be—even for George Bailey. So this Christmas I’ll break out the hot cider, huddle the kids around our bulky T.V. 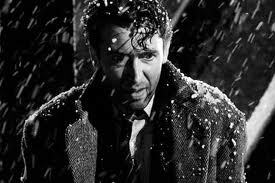 with spotty reception in our cold basement and once again watch It’s a Wonderful Life, anticipating lines from memory. But this time, Clarence, I’ll do so thinking of the Redeemer who one day will make all things right in a world gone terribly wrong—even for the George Baileys among us. To think otherwise (especially for the Christian) is to prepare oneself for a life fraught with unremitting despair, disillusionment and despondency.